When families stay at the Ronald McDonald House of SNJ they normally have to go to the hospital EVERY DAY. Many hours are spent with families visiting their child in the hospital or waiting to get into appointments or having procedures done. While the hospital will provide food for the patient - many times the parents and siblings go without. This is why "Snack Packs for Kids" are so needed. 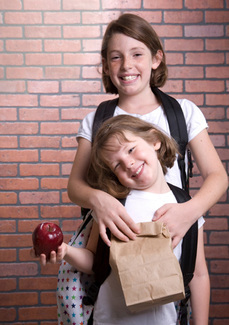 We hope to be able to give each family member a snack pack before they leave in the morning. This will help ensure that they are getting some healthy snacks and not having to spend a fortune in vending machines. In order to guarantee each "Snack Pack" is the same we are asking that you include the following items and place them in a ziploc bag. Water does not need to be placed in the bag. Please do not put into brown paper bags. Homemade cards or notes of encouragement are greatly appreciated and one can be placed in each bag. Question does bag matter? Brown lunch, ziploc or other? Troop 30008 would love to donate!